Sending unit, fuel, 6v and 12v (exact repro, w/cork float) Also recommend the \r\nrubber protector which came with it from the factory. 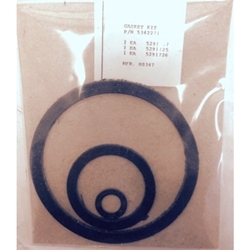 Gasket set (3 pieces) for resealing the firewall mounted fuel filter. We highly recommend keeping and extra set or two in your tool box. Reason being they are not reusable most of the time and will leak either fuel or vaccum so you get no fuel to the pump and carb.